One of the most dynamic fashion designers in the industry right now, Alexander Wang, continues celebrating his 10 years of greatness with his new project. Wang has teamed up with the DoSomething , a global organization that supports both youth and social change, to create a collection that continues the Wang tradition of individualism. DoSomething’s aims to promote social change in people’s everyday life. DoSomething helps with campaigns that targets causes spanning from violence to the environment, in an effort to make an impact on today’s social issues. Alexander Wang has teamed up with the great Steven Klein to create a campaign that features today’s most influential fashion mavens including: Kate Moss, Kanye West, Kim Kardashian, Cara Delevingne, and many more. The whole idea behind the campaign is to take one of the four Alexander Wang pieces that has DoSomething on it, and have the person incorporate it as a part of their everyday style. 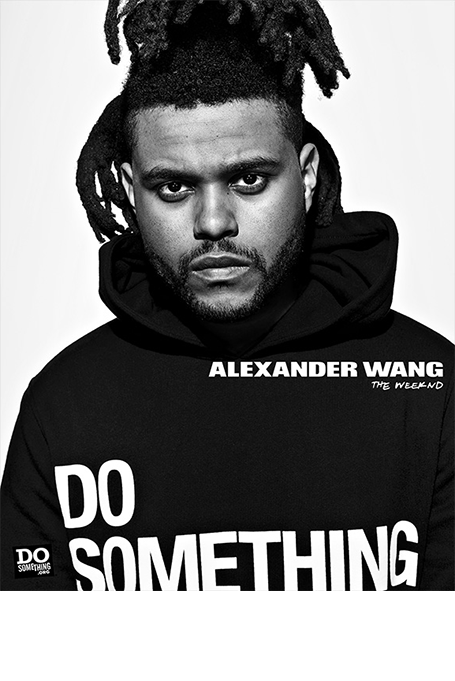 The DoSomething collection is being sold exclusively at Alexander Wang retail stores as well as AlexanderWang.com alongside with Alexander Wang’s 10 year capsule. Mr. Wang is definitely basking in his glory as he should. Wang continues his minimalist designs with a twist of tradition. It is always a pleasure to see what Wang has to reveal each season and it is pleasing to the soul to see some of the classics be recreated and available for purchase. Not only is Wang giving DoSomething more exposure but also donating 50% of all AW x DoSomething purchases will be donated to DoSomething. Not only would you look great but you will be supporting a great cause.